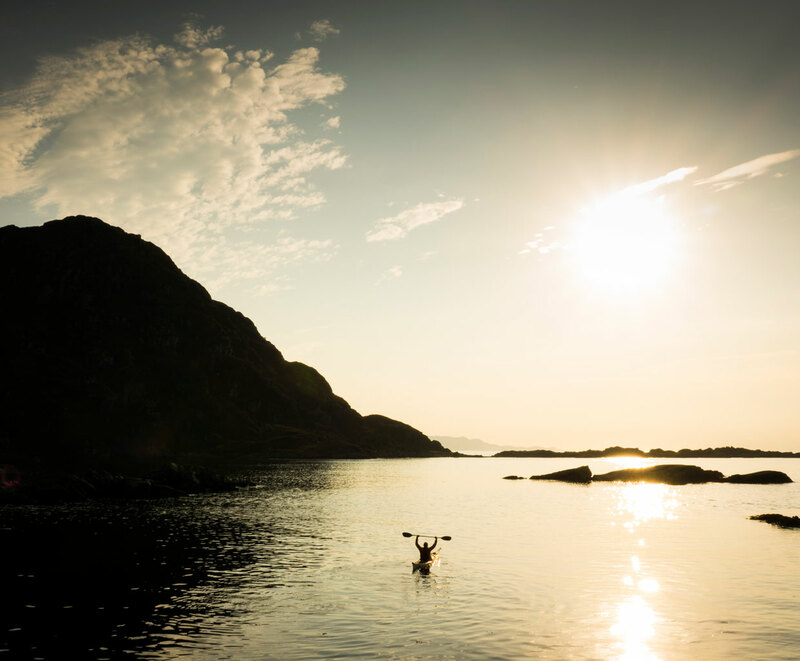 WHAT TO EXPECT A beginner sea kayaking holiday, featuring five full days of kayak trips in the heart of the Highlands. If you are keen to find out what the West Coast of Scotland has to offer then look no further - wild lochs, remote beaches and offshore islands are all there to be explored and we’ll show you how - you’ll learn new skills and journey with a bunch of like-minded adventurers. 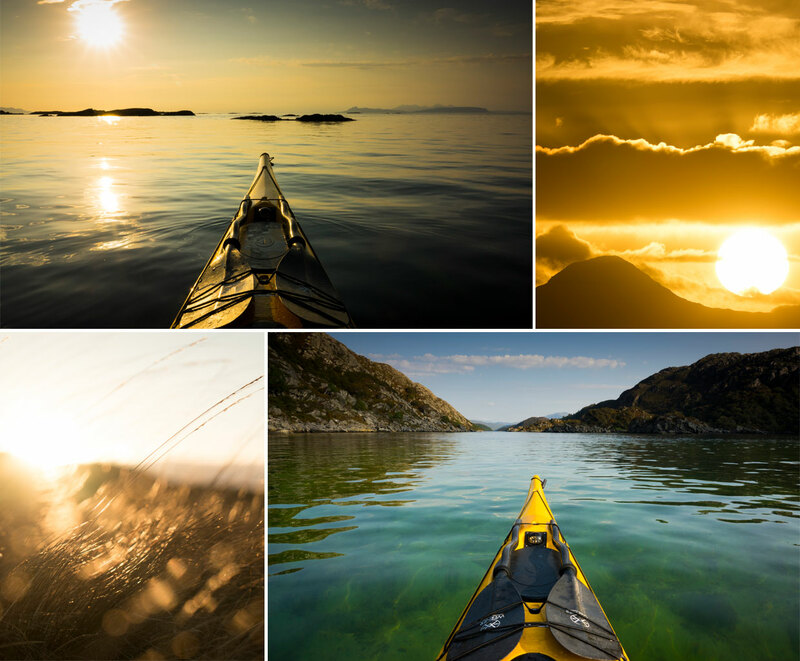 TRIP HIGHLIGHTS A five day kayak trip, suitable for beginners, exploring some of the finest coastline around, staying in lodge accommodation in a wonderful setting, focusing on journeying and learning skills in sea kayaking. 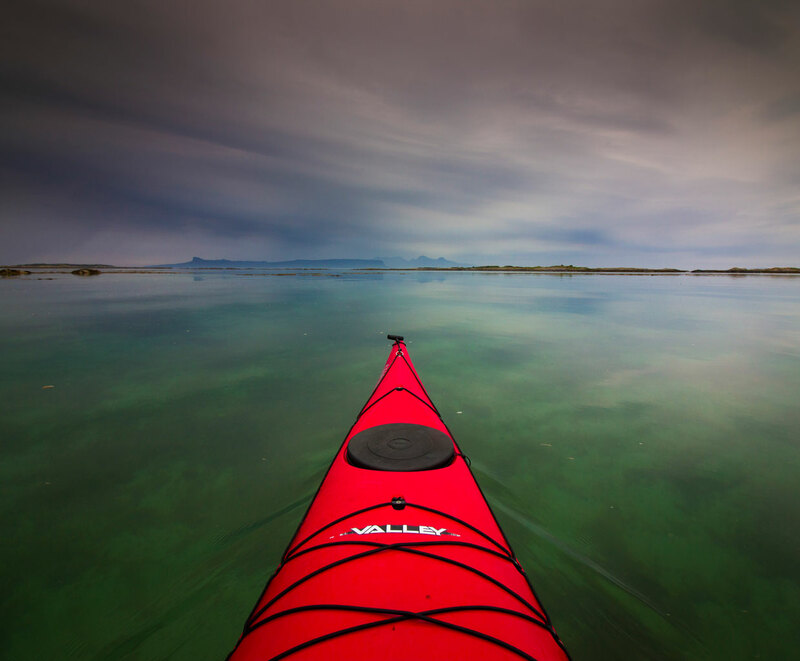 Journey in the Arisaig Skerries, Loch Ailort and Loch Sunart - three classic Scottish sea kayaking destinations. 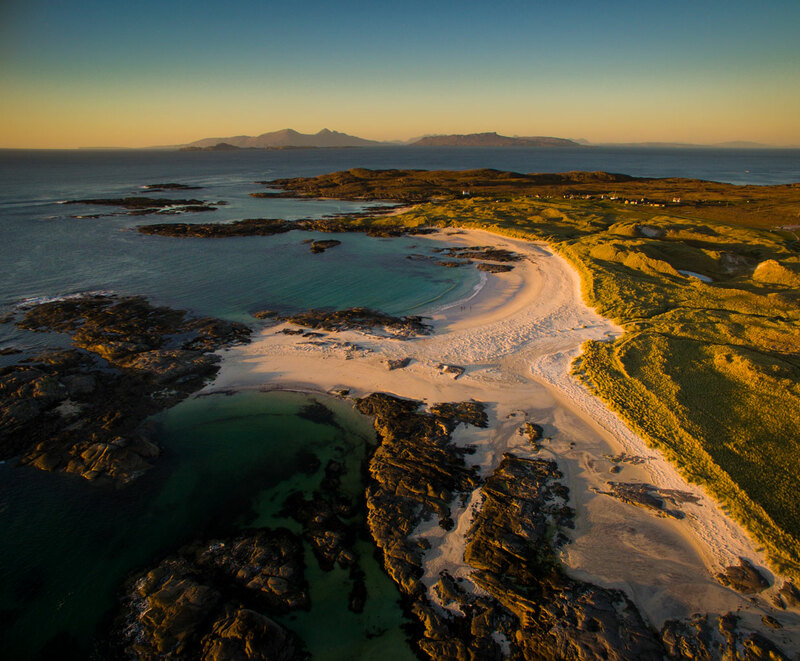 Visit Sanna bay (the one in the photo!). Based from comfortable lodge accommodation on the shores of a sea Loch. Pine Martens are regular visitors and Otters can be seen nearby. Eat fresh food cooked over fire in a wild setting or back at comfort of the lodge. *MEETING WITH THE SEALS - We’ll head off to Arisaig to collect the kayaks and kit, then launch nearby for a trip around the Arisaig Skerries. The Skerries are a West coast classic and for good reason - sandy bays, small islands, crystal clear water and loads of curious Seals! Once back on dry land we’ll take a scenic drive down to our accommodation and get settled in - the lodge is set within woodland close to a sea Loch. Remember to keep an eye out for the Pine Martens and Roe deer that feed in the grounds of the lodge. 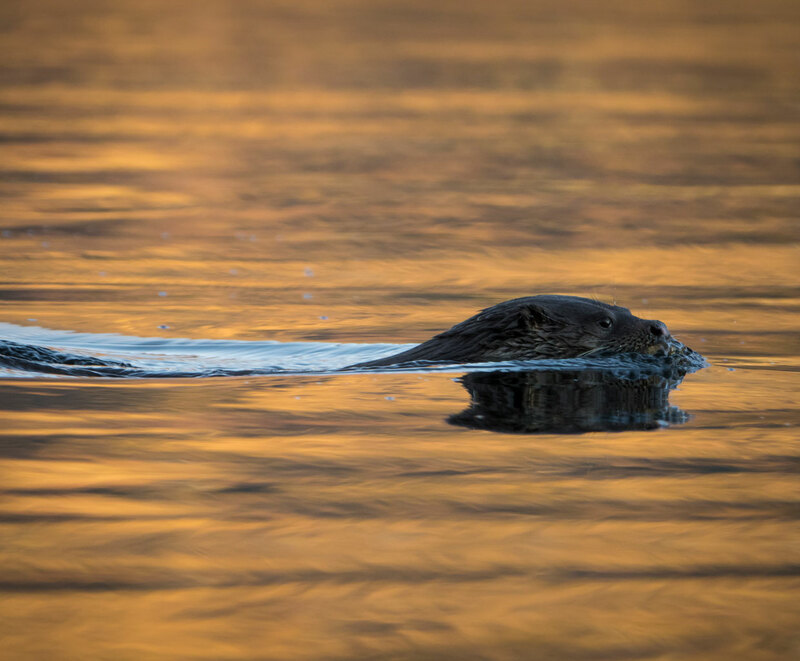 A little walk down to the Loch could be rewarded with a sighting of an Otter - they can be seen locally. *CALM WATERS AND WILD COAST - Our accommodation is very close to the waters of Loch Sunart and we’ll use this to our advantage. We’ll tailor the sea kayak trips to the conditions and the group - aiming to explore on either full day journeys or a mix of shorter sessions. We’ll make sure we don’t over do it and wear everyone out, so we’ll build in plenty of time to chill out, take in the surroundings, watch wildlife and explore. Our surroundings offer the chance for progressive journeys - as your skill and experience grows, so will our ambitions and we'll make the most of whats on offer - journeying in some amazing places you'd never have thought possible. We’ll cook meals back at the lodge with the option to eat out in one of the local Inns. *A COASTLINE FULL OF POSSIBILITIES - We’ll go on a little road trip to Sanna bay - at the most westerly point of the mainland this bay has some stunning views of the islands and West coast and is perfect for sea kayak journeys. We’ll stay late to watch the sun go down - cooking our dinner over a fire on the beach. 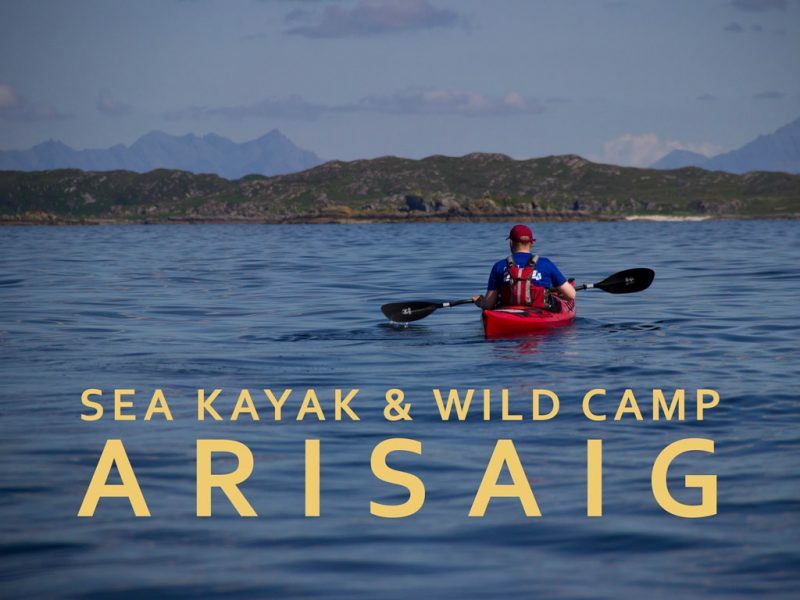 Our last day will be spent journeying back to Fort William - we’ll stop by the Sound of Arisaig on the way and go for a sea kayak journey along some classic Arisaig coastline. By this stage you’ll have a new found sea kayaking confidence and fitness and we’ll be able to explore to the full. We’ll end the trip at Fort William, you’ll have new skills and knowledge and will be ready for your next sea kayaking adventure. ACCOMMODATION Accommodation is in an Ardnamurchan lodge, situated in woodland and close to the Loch - a great base to explore from. Each room will be shared, either as a couple or with another group member of the same gender. All rooms are en-suite. Contact us for single occupancy options. FOOD Includes meals - lunch on day one through to lunch on day 5. We can accommodate any dietary requirements if notified in advance. START AND FINISH Meet at Fort William train station at 10.30, or Arisaig at 11.30. Trip ends at Fort William 17.00, or Arisaig. GROUP Up to 6 people with one guide. KIT LIST Our accommodation kit list applies to this trip. All specialist kayaking equipment can be provided. TRIP GRADE This is trip is open to any level of experience, but is best suited to those who have little or no experience of sea kayaking and want to learn more or just want to experience sea kayak day trips exploring some beautiful coastline. If you have experience in other paddle sports then this trip can also be a good way to convert that knowledge and skill to sea kayaking. Individuals, couples or small groups of friends. This trip is suitable for families with kids age 12 and above. Double kayaks can be used or if they have kayak experience or are sporty and confident then it could be possible to paddle single kayaks. Generally single kayaks would be used for kids from roughly age 14 upwards, or whenever they are strong enough to keep up with adults paddling by themselves.